London — Oil prices rose strongly on Friday as US sanctions against Iran threatened to remove a substantial volume of crude oil from world markets at a time of rising global demand. Benchmark Brent crude jumped $1.49 to a high of $79.34 a barrel before easing back to around $79.10 by 1.50pm GMT. US light crude rose 77c to $74.22 a barrel, its highest since November 2014. 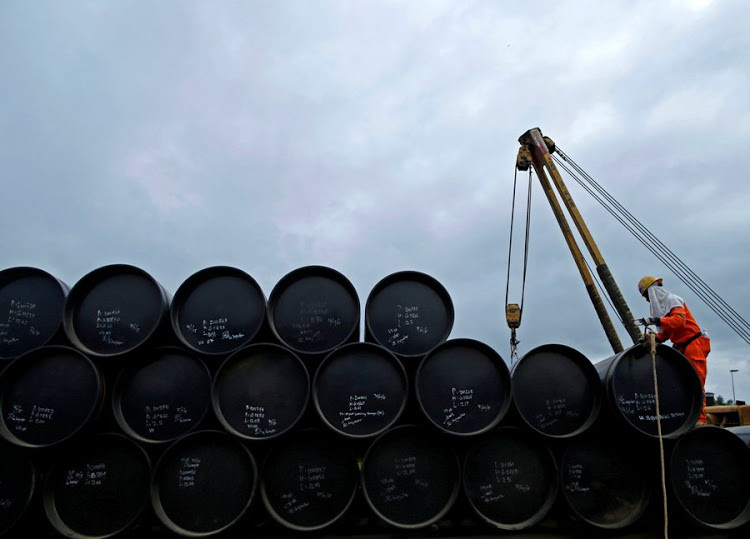 The US government wants to stop Tehran exporting oil to cut off a vital supply of finance, and hopes other big oil producers in oil cartel Opec and Russia will make up for the deficit. But the world oil market is already tight with unplanned disruptions in Canada, Libya and Venezuela removing supply. Many analysts and investors think strict enforcement of US sanctions against Iran will push up prices sharply. "It is becoming increasingly clear that Saudi Arabia and Russia will struggle to compensate for potential losses in oil production from the likes of Venezuela, Iran and Libya," said Abhishek Kumar, analyst at Interfax Energy in London. Vienna-based consultancy JBC Energy said the stronger the implementation and enforcement of US sanctions, the higher the oil price will go. "Triple-digit oil prices are not off the table." A Reuters survey of 35 economists and analysts on Friday forecast Brent would average $72.58 a barrel in 2018, 90c higher than the $71.68 forecast in last month’s poll and compared with the $71.15 average so far this year. North American oil stocks have fallen as an outage at Canada’s Syncrude has locked in more than 300,000 bpd of production. The outage is expected to last at least until the end of July, according to operator Suncor Energy. Outside North America, record demand and voluntary supply cuts led by Opec have pushed up prices. Major buyers of Iranian oil, including Japan, India and South Korea, have indicated they may stop importing Iranian crude if US sanctions are imposed. Until then, however, they are buying as much Iranian oil as possible. Imports of Iranian crude oil by major buyers in Asia rose in May to the highest in eight months.